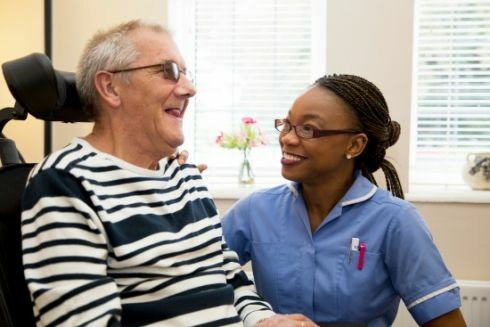 Phyllis Tuckwell Hospice Care’s mission is to care compassionately for adults living with a terminal illness, and those closest to them, so that they have the best possible quality of life and the patients’ final days are peaceful…because every day is precious. Our vision is for easy access to compassionate supportive and end of life care for patients and families in a place of their choice. Seeking support through our Hospice Care isn’t about giving up hope but rather a way to get the most appropriate care and make the most of every day. The needs and wishes of the individual firmly at the centre of everything we do. Receiving only 20% of our funding from the NHS/Government, highlights the support required from our community in order to continue providing this care. In 2018 The Wisley Foundation has provided funding for specialist palliative equipment. We are incredibly grateful for the support we have received from the Wisley Foundation since 2015 – support that has allowed us to purchase key pieces of equipment to care for patients in our Hospice. We simply could not do what we do without this kind of help, so thank you so much to everyone who is involved with the Foundation. Jayne Holland, Director of Patient Services.